Popular Pre-Retirement Series Workshops Now Available for Registration! 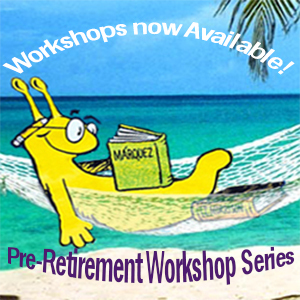 Home / News & Events / News / Popular Pre-Retirement Series Workshops Now Available for Registration! Your choices affect your retirement income; getting expert guidance is a great start. Are you preparing for your retirement? Will you have enough income to live the lifestyle you expect? Do you know how your University pension coordinates with Medicare or Social Security? To help you with these important questions, our UCSC Benefits Office has partnered with the Academic Personnel Office and experts from retirement-focused organizations to offer the 2016 Pre-Retirement Planning Program. Attendees have a unique opportunity to learn directly from, UC Retirement Services Administrators, Fidelity Retirement Services Counselors, Social Security Experts, as well as our own Benefits Manager, Frank Trueba and Academic Personnel AVC; Pamela Peterson. The workshops in this annual series provide timely information and powerful tools to support UCSC academic and staff employees in achieving their retirement goals. The series will focus on several different aspects of an informed retirement strategy, and you are encouraged to register for all. The presentations are designed to be most germane for those individuals considering retirement within the next five years, but all are welcome. All workshops will be held in the Bay Tree Conference Center, Cervantes and Velasquez Conference Room. See our Pre-Retirement Planning Program page for complete workshop listings and registration information. For more general retirement information, visit our Retirement Services page at our UCSC Benefits site and also check out your available resources on the Office of The President’s site: Getting Ready for Retirement and Retiring from UC this Year?